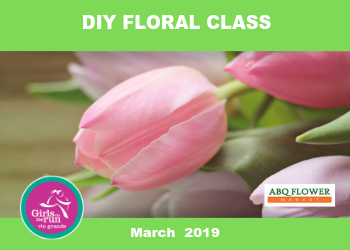 Support Girls on the Run Rio Grande and make a professional-looking flower arrangement with step-by-step instructions from a professional design teacher. All flowers and supplies included. Come out and support Girls on the Run Rio Grande while learning to make a professional-looking flower arrangement (yours to keep!) Step-by-Step instructions from a professional design teacher. All flowers and supplies included.